Updated Sunday October 21, 2018 by Michelle Benczkowski. 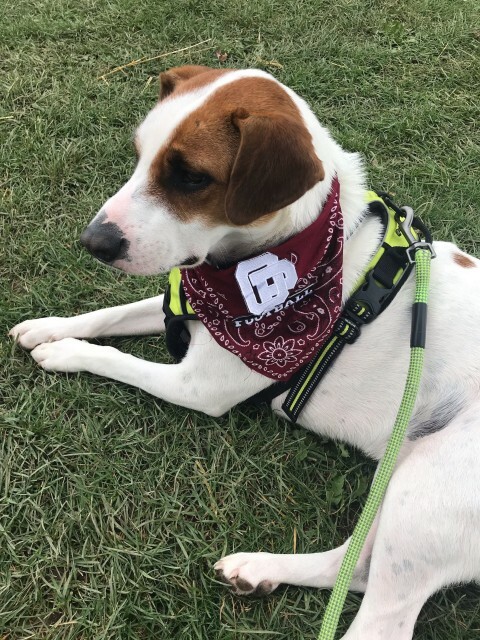 This week's OPLLF and Cheer Mascot of the Week, brought to us by the Zarbo family. Check out Pickles in his OP gear! OPLLF is a dog friendly organization. Dogs are welcome at Brush Mountain park, just please keep them leashed, contained, and PLEASE pick up after them. Thanks!